According to www.steeldetailingsoftware.co.uk, ADVANCE Steel is the best choice for steel detailing and steel engineering software, after closely analyzing the main key software selection criteria: cost, profitability and functionality. The website states that Advance Steel is exceeding other software like Tekla or StruCad (which have significantly larger backgrounds in steel detailing and engineering) when it comes to interoperability with other platforms, functionality and drawing output. What they consider to make this software special is its accessibility to any type of company which is interested in investing in steel detailing software. As they say, Advance Steel has a far shorter learning curve than its competition, fabrication and drawing output “is exceptionally flexible” and offers businesses in this sector an affordable solution. 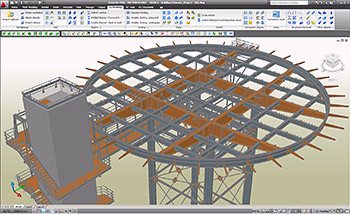 “Functionality wise Advance Steel detailing software has everything you would expect from a specialist structural steel detailing package […]”, its adaptability evolving trough time, becoming more appealing to customers. Although, ultimately, the best software is the one that addresses the businesses needs and issues, their conclusion is that “Advance Steel is a clear winner using the selection criteria adopted as this applies to most businesses seeking increased productivity and profitability gained from the adoption of specialist technology[…]”. 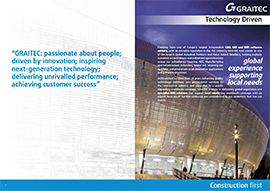 ← GRAITEC – finalist of Construction Computing Awards!